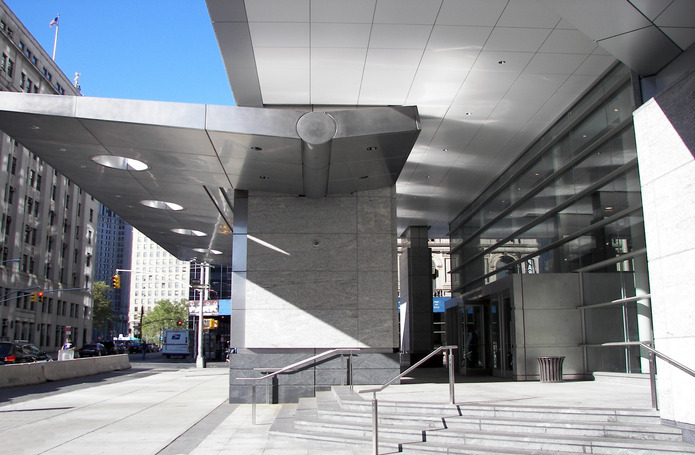 This project consisted of a four (4) Phase renovation and modernization to this Family Court Facility in lower New York City, while the courts remained operational. Phase 1 – $1,400,000 Repair of active foundation leaks using epoxy injection. Replace coils and filters to 13 main air handlers. Replace fan shafts & bearings. Replace genset fuel oil tank. Phase 2 – $2,300,000 Remove and replace seven major exterior columns to accommodate lobby expansion. Phase 3 – $39,000,000 Demo 140,000sf of deteriorated exterior stone cladding, installed new unitized granite curtain wall panel system (including operable window units), provided new roofing, soffits, granite pavers, site work, metal panel wall system (back of building) handrails, new storefronts at lobby. 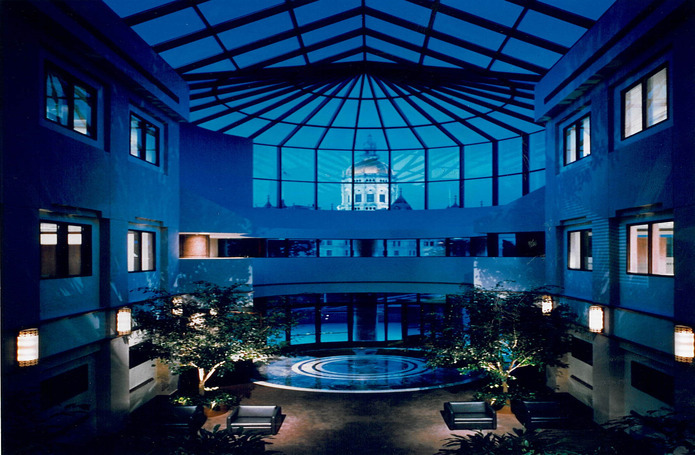 The lobby expansion added 15,000sf and enabled the installation of a dedicated air handling unit and a thermally efficient storefront to correct the thermal comfort problems that had plagued the original lobby. Upgrade fire alarm components & sprinklers. 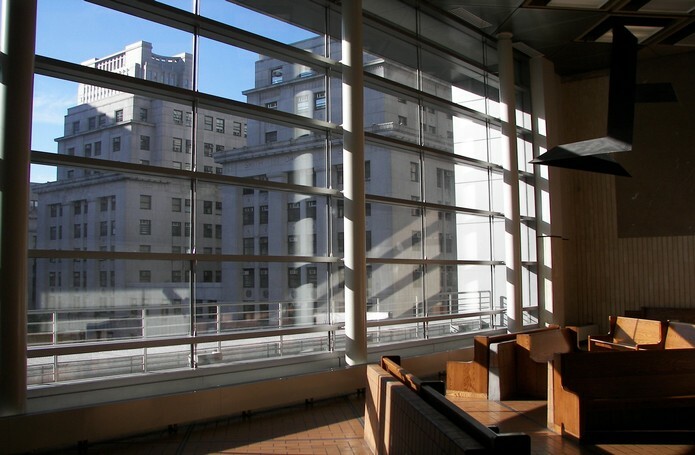 Provided custom wood ceiling and terrazzo flooring and utilized custom overhead protection system in the lobby to permitting uninterrupted court operations during reconstruction. Phase 4 – $22,000,000 The demo and renovation of 13 existing courtrooms and the addition of 2 new courtrooms with all incidental offices and support facilities.